Hey guys and girls,for those of you that don’t already know me, my name is Kayne Duggan, I’m very much so into the health and fitness lifestyle and pride myself on remaining fit all year round. I participate in sports such as Softball and Taekwondo and have represented Southland in both sports. In my spare time you can find me chilling out at home watching a few shows on TV, hanging out with friends and family or find me training in the gym or outside depending on what mood I’m in and what the weather is doing. I have recently begun working at Ryding2Health and hope that I am making a good impression on those of you I have already met and look forward to meeting more of you in the future. Now onto the main topic. If you haven’t heard already, then this will be news for you. Taekwondo is my favourite sport/martial art and has been part of my life since I was 8 years old. I was first introduced to the martial art by my mother who dragged me along and thought it would be a good idea for me to learn some discipline and self defense, in case I ever got into trouble one day. I enjoyed kicking and punching the pads and the occasional person every now and then. I’ve made lifelong friends and will probably continue Taekwondo until the day I die, that’s how much I enjoy it. So it’s obviously been a few years since I first started and most of you are wondering if I have my black belt or not? Well to answer that for you all I can happily say that yes I have achieved my 1st Dan Black belt in Taekwondo, I was awarded my Black belt in November 2014 after a grueling 4 hour grading. Along my journey to achieving Black belt status in Taekwondo I have competed in many tournaments over the years and won a hefty haul of medals and trophies. Majority of which are gold (just throwing that out there). My greatest achievement to this date in my eyes was winning the south island champs under 80kg division and being awarded best black belt fighter of the tournament. 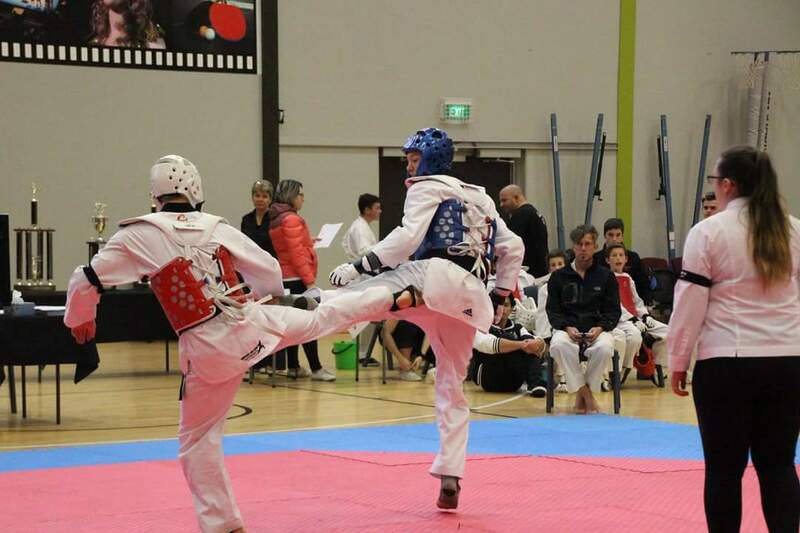 Next week I am off to wellington to compete at the national tournament for Taekwondo. I have no idea how many fights I will have could be 5 could be just one, depends on how many people are in my weight category. The fights are determined by points, you get points by kicking the opponent in the chest or head. Whoever has the most points at the end of the 3 rounds, wins. Of course there is the opportunity for knockouts but they are very rare these days. If I do well enough I could be selected for the national squad, so the pressure is extremely high for me as this is something I’ve always aspired towards. To represent my country in the sport that I love. Will let you all know how I got on when I return. ← FREE WEBINAR: finding your spring Mojo!